Unbeaten Manchester City head to Stamford Bridge on Saturday evening looking to put down a further marker at the top of the Premier League. Mark O'Haire pinpoints the best betting opportunities. "Guardiola’s gang have W11-D1-L2 when taking on fellow Big Six sides since the start of last season and are worthy favourites." Chelsea dropped to fourth in the Premier League and fell 10 points behind league leaders Manchester City after a 2-1 defeat at Wolves in midweek. Blues boss Maurizio Sarri admitted he was disappointed with his team after seeing his side enjoy 70% of the ball, dominate the first-half and fire in 17 attempts at goal. Leading after 18 minutes via Ruben Loftus-Cheek's 25-yard deflected effort, Chelsea had opportunities to extend their advantage through Willian, Antonio Rudiger and N'Golo Kante. However, the Blues conceded from their first two shots on-target, both arriving in the space of four second-half minutes. Sarri handed first league starts of the season to Andreas Christensen, Cesc Fabregas and Loftus-Cheek, but is expected to revert back to his preferred XI on Saturday evening. Alvaro Morata's place in the side is under threat following another ineffectual performance with Olivier Giroud hoping for a recall. 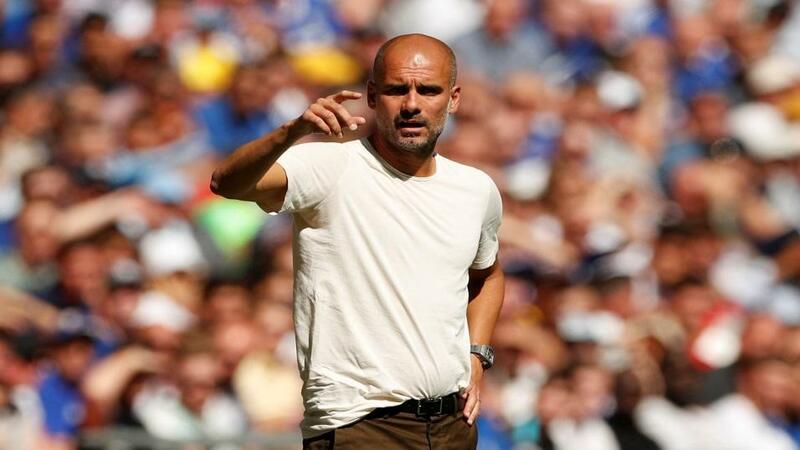 Man City boss Pep Guardiola bemoaned his team's profligacy on Tuesday night as the Citizens conceding a late goal in their 2-1 triumph at Watford that set-up a frantic finale. City had controlled the contest, leading through goals from Leroy Sane and Riyad Mahrez but it was a nervous and uncomfortable ending. The defending champions could (and should) have been out of sight beforehand, but for the excellence of Ben Foster between the sticks for the Hornets. Mahrez and Sane were both denied when one-on-one in the first-half, whilst the former also saw an excellent effort saved by the England international. The trip to Vicarage Road was City's second of 13 matches in 44 days and Guardiola once again rotated his squad, as he did in last weekend's win over Bournemouth. Sergio Aguero and Raheem Sterling are set to return to the starting XI on Saturday, whilst Aymeric Laporte should feature at centre-half. Man City were 1-0 winners in both Premier League meetings with Chelsea in 2017/18 and the Citizens have been chalked up as strong [1.94] favourites to succeed on Saturday. Guardiola's gang have W11-D1-L2 when taking on fellow Big Six sides since the start of last season and are worthy favourites. The visitors head to the capital unbeaten in 21 (W18-D3-L0) against their divisional rivals, whilst their +38 is the best recorded by an English top-flight team at this stage of a campaign since 1892. City are in a league of their own at the minute and posting the most dominant data numbers across the continent. Chelsea [4.10] are comfortably their biggest price for a home Premier League fixture this century and having returned W2-D4-L2 when taking on teams in 13th and above, have plenty to prove. Indeed, the Blues have picked up 21 of their 31-point tally under Sarri against the bottom-seven in the division. Ten of Man City's 15 fixtures in 2018/19 have crossed the Over 2.5 Goals barrier and a repeat is available to support at [1.64]. The same selection has also paid-out in 10 of Chelsea's 15 outings under Sarri this season, suggesting there's value in supporting a high-scoring encounter at Stamford Bridge. However, it's worth noting that all three of City's trips to fellow Big Six clubs have featured fewer than three goals this term, a direct contrast to 2017/18 when four of their five such away days produced goal-heavy games. My inkling is for goals, although I'm happy to swerve such markets this weekend. We bolster odds-on quotes for an away victory by adding in Aguero to score, as well as City to strike Over 1.5 Goals. Adding the two extras into the equation on Betfair Sportsbook's Same Game Multi markets will give us odds of 3.11. Chelsea have recorded seven cleans sheets this season but four arrived against the current bottom-four, and the Citizens have notched at least twice in all bar three of their Premier League dates thus far. Meanwhile, Aguero has grabbed eight goals in 13 starts, at a rate of one every 121 minutes.